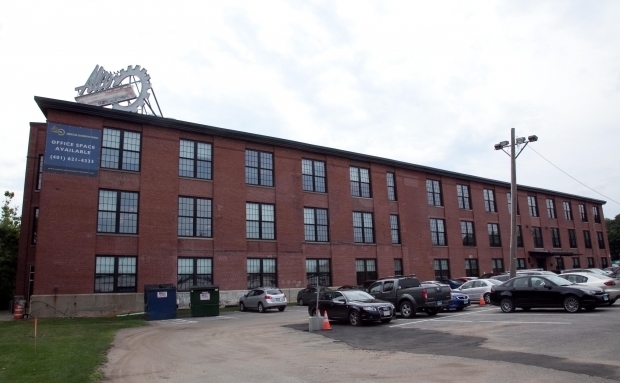 Home to RI's economic development agency, Commerce RI, along with several other businesses, the ALCO complex once housed a major innovator in the history of transportation. The Rhode Island Locomotive Works constructed this building in 1865, just as the Civil War ended, with capital invested by General Ambrose Burnside of Bristol, RI. Burnside had earned his wealth from new rifle technology he patented just before the outbreak of the Civil War. He eventually reinvested his wartime profits into the booming business of railroad transportation. 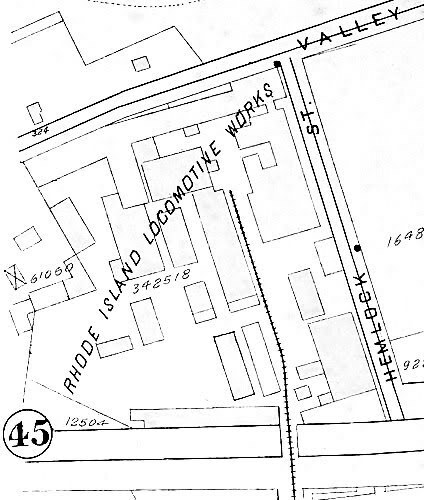 The Rhode Island Locomotive Works produced railroad engines for 30 years until it joined with seven other regional locomotive manufacturers to form the American Locomotive Company, or ALCO, in 1901. 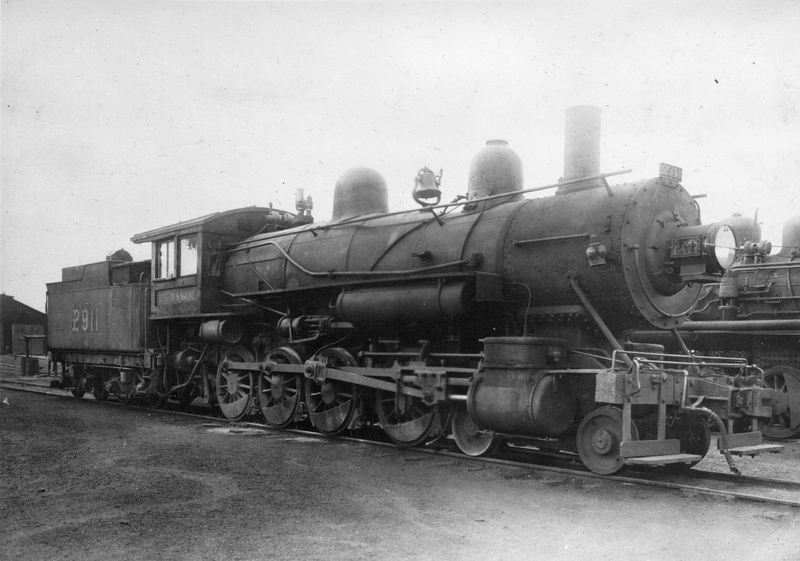 ALCO became the second largest steam locomotive builder in the US, producing 75,000 engines in total, including the famous “Big Boy” locomotives, the largest and most powerful engine ever created. In 1905, the company diversified by investing in a line of automobiles and heavy trucks, spelling the beginning of the end of the railroad's monopoly on American transportation. Always on the cutting edge of innovation, ALCO obtained the American rights to the Berliet, a high-priced French car, and moved skilled mechanics from Lyons, France to Providence. The new car, priced between a jaw-dropping $6,000 to $7,500, proved to be an immediate success, at least, from the consumer's point of view. The company actually sold “the finest car produced in the US” at a loss, due to the difficulty of getting raw materials to Providence and to having a limited distribution network. 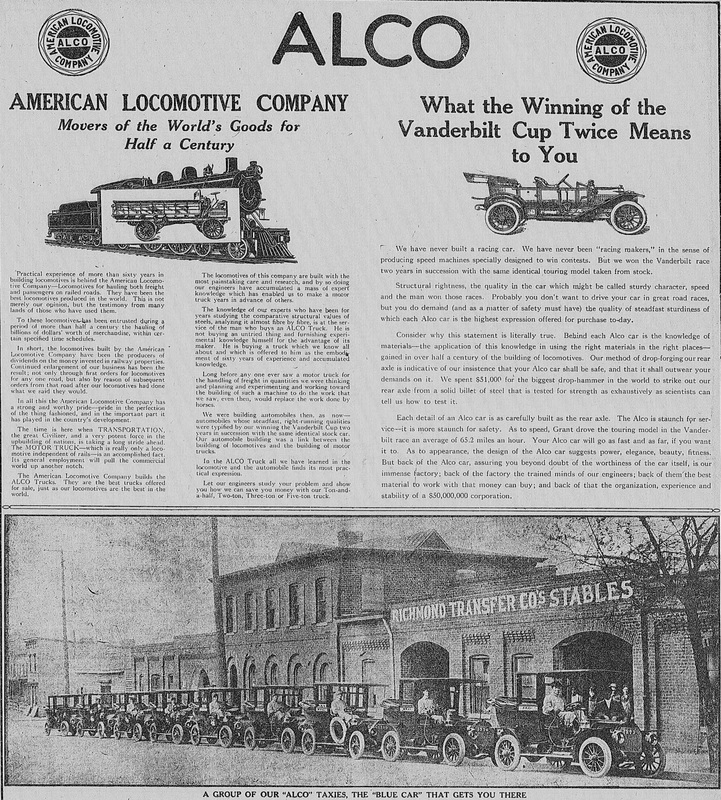 Fortunately, ALCO’s line of trucks helped stem the company’s losses. By 1913, 85% of the company’s business came from trucks and 15% from high-end cars. In 1913, the New York City Postmaster gave the company its largest single order for 80 trucks, and ALCO further diversified its offerings by producing taxi cars. Despite these efforts, ALCO announced it was leaving the car and truck business in 1913. It shuttered its Providence factory and gave notice to its entire workforce of 1,200 employees. During WWII, ALCO diversified its offerings and manufactured 7,362 army tanks, tank destroyers, shells, and bombs, in addition to locomotives. Though it no longer produced vehicles, ALCO continued to manufacture locomotives in its Schenectady, NY plant until 1968. In Providence, US Rubber bought the ALCO plant and absorbed it into its own multi-building complex in 1918, a story told in the following stop of this tour. ALCO DL-109 Train: This sleek and forward-looking 20th century train, at the Charles Street Coaling Tower in Providence, RI, was built in the 1930s at the company’s Schenectady plant. ~ Source: Rhode Island Collection, Providence Public Library. ALCO Today: The iconic sign still stands on the corner of the manufacturing building. 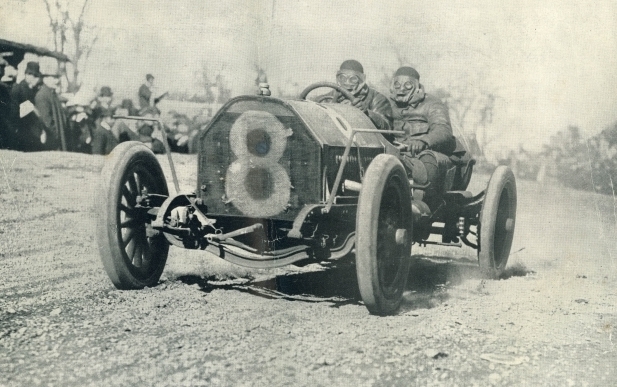 The Winning ALCO Racer: At the 1909 Vanderbilt Cup the #8 ALCO (USA) finished first. ~ Source: Howard Kroplick, The Vanderbilt Cup Races of Long Island. Arcadia Publishing, 2008. The ALCO car won the prodigious Vanderbilt Cup in 1909 and 1910 with an average speed of 62.81 mph. It’s the only car company to have won the cup twice! 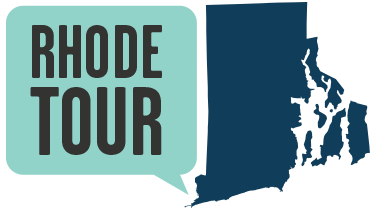 Learn more about the history of the railroad in Rhode Island! The article starts on page 37. 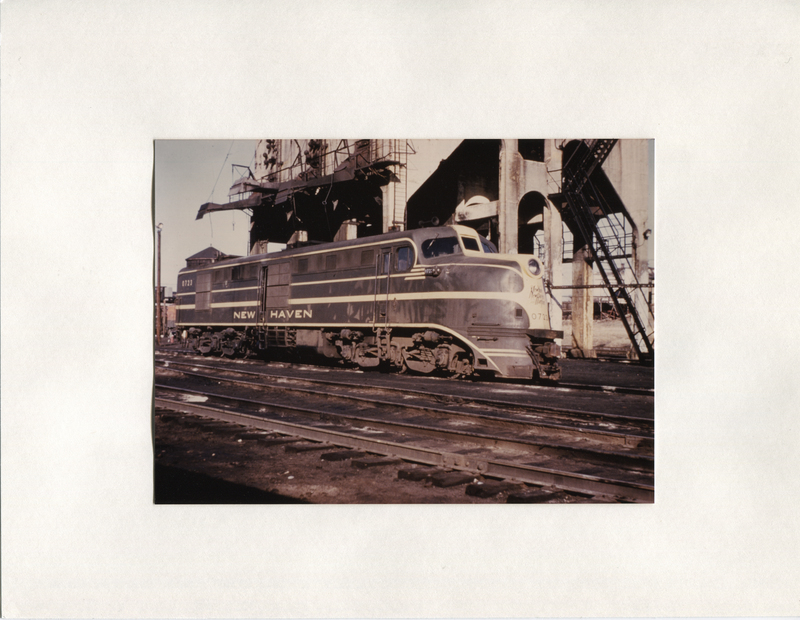 Jane Gerhard , “American Locomotive Company / ALCO,” Rhode Tour, accessed April 21, 2019, http://rhodetour.org/items/show/216.